Remember the series of photos which were used with the previous two articles? (HDR with Photoshop CS5 and HDR with Photomatix 3.2) Well, you can produce similar results and “fake” an HDR image with just one photo by using Lightzone. Take a look at the before and after above. 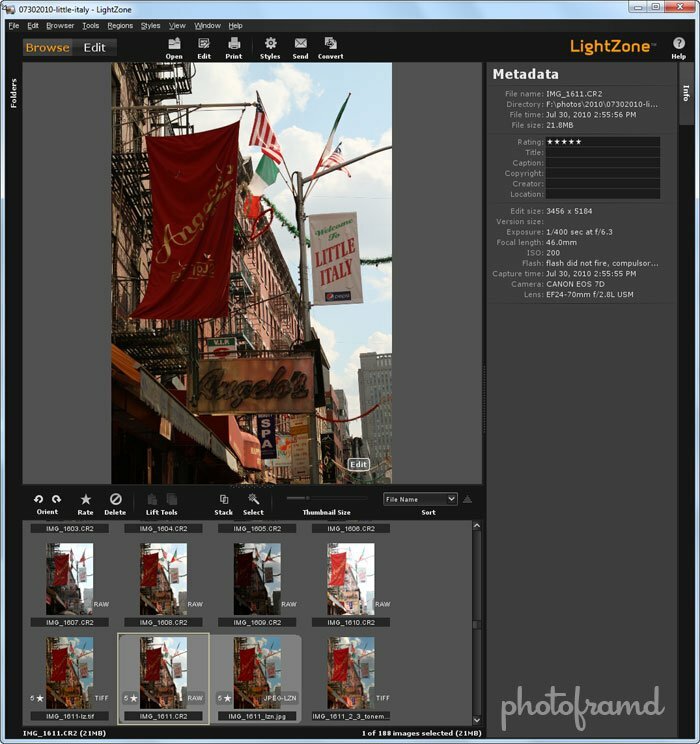 Lightcraft just released Lightzone 3.9 which supports Canon 7D Raw Files! The above image was created by using the base image from my previous articles. (The -2/+2 stop images were not needed.) It’s simply a matter of stacking filters and processing the image … in as little as a few minutes!. These filters can even be isolated by using masks or even color ranges. Lightzone has been a favorite program of mine for years, and I am thrilled that it finally supports native Canon 7D Raw files! Best yet, it’s only $99. This is not a Photoshop plug-in. It is a complete stand-alone application that includes Library image viewer similar to Bridge. 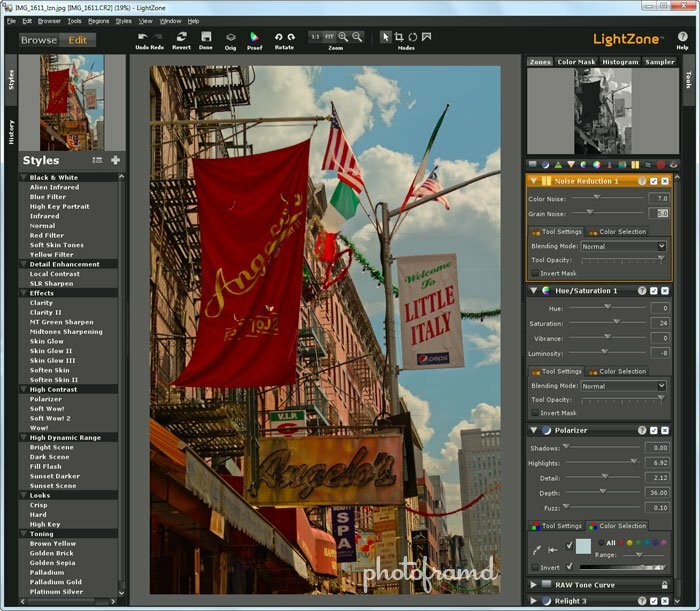 Lightcraft offers a fully-functional free trial version of Lightzone and how-to videos. 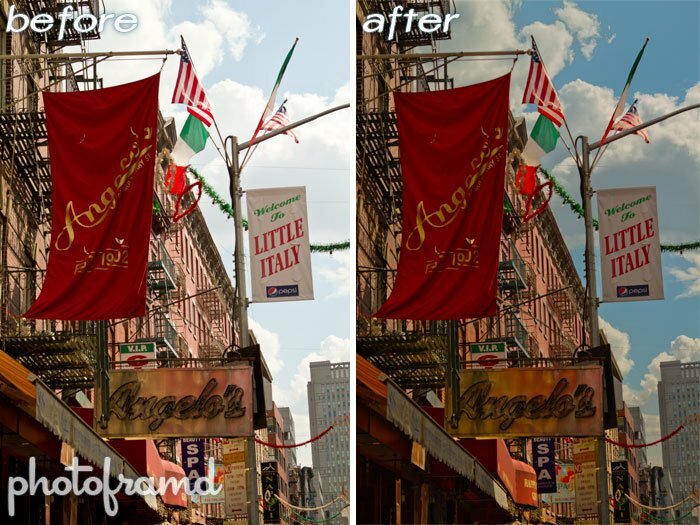 Just adding their Relight filter or Polarizer filter to a photo can do wonders to pull out hidden details. But, this program has a great amount of depth and allows for unlimited tweaking. All changes are non-destructive and never alter the original files. It’s very easy to experiment with new effects and combinations. The current version is 32-bit but operates perfectly on Window 7 64-bit. It is available for Windows, Mac and Linux. Be sure to take a look at my two-part tutorial on using Lightzone 3.